Planters are shaped from metal by skilled craftsmen utilizing precise folding of the metal to create a planter that uses no welding during the manufacturing process & assembles into a rectangular shape from five panels. Planter panels interlock together to form incredibly solid plant container that can accommodate large plants. Most of all, the planter is simple, modern & minimalistic. 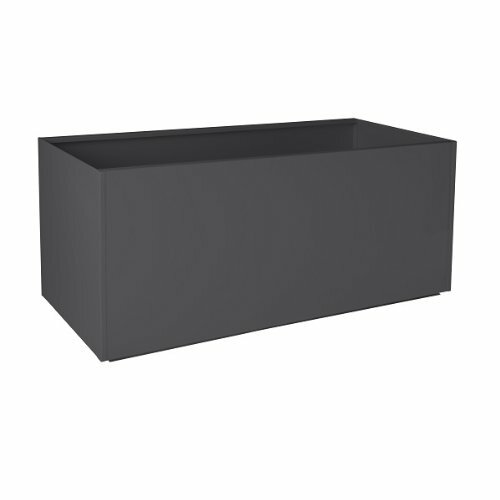 Aluminum planters are powder coated to provide a vibrant durable finish. If you have any questions about this product by Nice Planter, contact us by completing and submitting the form below. If you are looking for a specif part number, please include it with your message.